SCENATET will join this years Interference#7 in Malmö with Juliana Hodkinson’s Nothing breaking the losing together with Mina Fred on viola. Nothing breaking the losing is a live performance piece that uses viola (acoustic or electric), spoken word (live amplified or pre-recorded), background soundtrack, objects and extended strings. 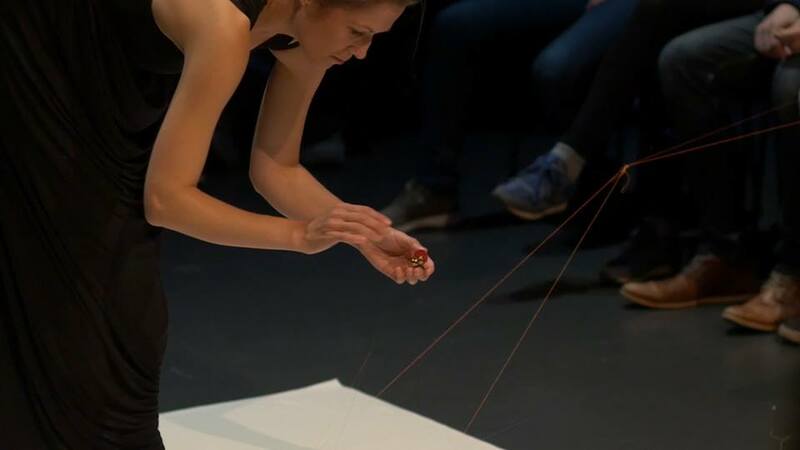 Two performers are the main drivers of the piece, with some audience members being given roles hanging objects on strings, holding and shaking strings across the main central performance area, or cutting the strings with scissors. Interference #7 which is organized by the Malmö Academy of Music is a laboratory for artistic research. The aim of Interference #7 is to create a discourse within music research, drawn from performative and material perspectives on musical creativity. The atmosphere is that of sharing and joint exploration.